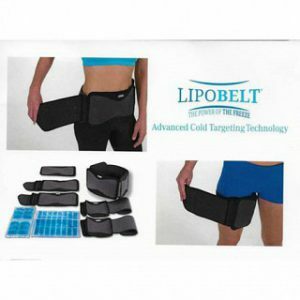 LipoBelt Body Contouring Kits – Delivers advanced spot contouring directly at stubborn muffin tops, back fat, belly flab and cellulite! Same cooling methods body clinics use to treat problem areas, but you get to avoid the several hundred dollar per trip fees! Choose from The Abs Kit or “The Full Body Kit” Which includes abs, thighs and Arms! – Limit 8 Per Customer – SHIPS FREE! Pay $49.99 for The Abs Kit or add another $14.99 for the Full Body Kit.